This shop has been compensated by Collective Bias, Inc. and its advertiser. All opinions are mine alone. #CreateWithCommand #CollectiveBias Now that my kids are a little older, they are really starting to get into the holidays. With Christmas right around the corner, I wanted to create a cute, inexpensive and kid-friendly craft. I created this DIY Christmas garland using paint sample cards from the local hardware store. I love this craft idea because it is so easy to make, even my kids could get in on the action. You only need a few items to create this adorable DIY Christmas garland. Plus, this craft is totally adaptable to your style. If you don’t celebrate Christmas, you could turn this into a winter craft. You could even wait until Valentine’s Day and make a mini-heart garland using the same idea. To make the DIY Christmas garland, you only need a few items. To get the paint sample cards, you can visit any hardware or craft store that sells paint. You can choose whatever color samples you like best to go with the shapes you’ve selected. I chose red, green and brown samples, but I wish I would have also gotten some yellow samples for bells or stars, and maybe some blue samples for ornaments or snowflakes. Be creative and don’t be afraid to add more colors and shapes! 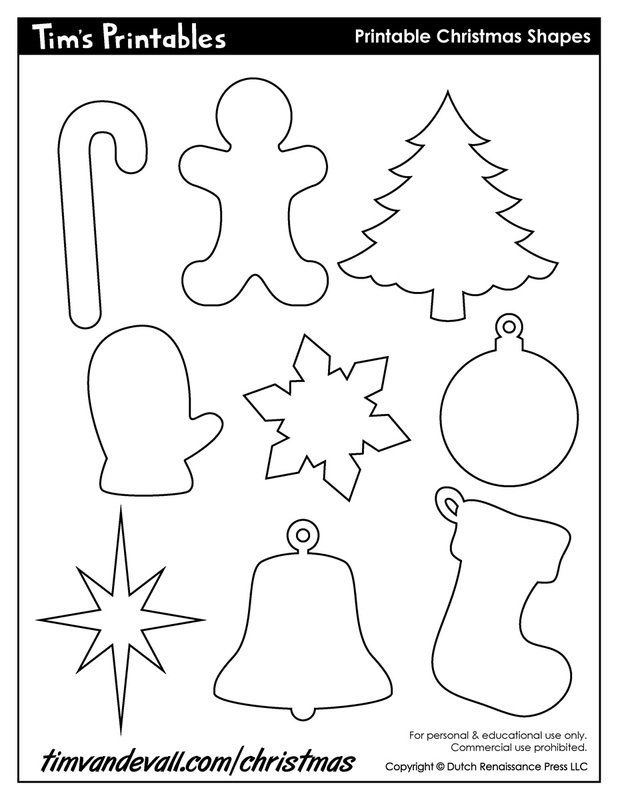 To make the garland, all you need to do is trace the shapes on the paint sample cards and cut them out. I tried to get two shapes out of each paint sample card, when possible. Once you trace the shapes, just cut them out. Once the shapes are all cut out, you can punch a whole at the top of the shape. If you make larger shapes, I’d suggest poking two holes in the top so you can weave the shapes through. In hindsight, I wish I would have made larger shapes to keep all of the shapes hanging in the same direction. Only have one hole on top meant the shapes sometimes flipped over. If I had punched two holes at the top, it would have stayed put a bit better. After you’ve punched all the holes, decide on what pattern you’d like your shapes to follow. I laid mine out on a table in the order I wanted them and then strung each shape onto the twine. Once all of your shapes are on the twine, now it’s time to prep for hanging. Once you’ve created your garland, you need to decide where to hang it. I decided to hang mine on the banister of my stairs. My kids loved looking at it as they walk up and down the stairs. To hang the garland, I used Command™ Clear Hooks. They are so easy to use and go up fast. The Command™ Clear Adhesive Strips work on a lot of different surfaces, including wood, paint, and tile. Plus, unlike nails or screws, they leave no holes, marks or residue. I also chose the Command™ Clear Hooks and Strips because they blend in seamlessly to show off the garland, not the hooks holding it up. Besides the DIY Christmas garland, I also decided to hang a stocking underneath the garland for a whole Christmas vibe. I used Command™ Brand General Purpose hooks to hang the stocking. The hook is perfect to hold up the stocking. If you do use these hooks, always make sure to check out the Command™ website to follow the weight guidelines/limits that are specified on the packaging or website. Now is a great time to get some Command™ Brand Products to hang all your Christmas decorations. Check out the Target circular ad for 5% off November 26 – December 2. I hope you’ll try out a version of my DIY Christmas Garland using paint chips. It was such a fun craft to make and my kids love it. I think next year I’ll make a really long one using smaller images to hang on our tree. Hopefully, my kids will be old enough to help me cut out the shapes!